It can be one of the most difficult diagnoses for a doctor to make: whether a brain-damaged patient is in a permanent vegetative state and will never wake up, or if he is in a minimally conscious state and may one day recover. In fact, for patients with significant swelling in the brain, a doctor's outcome prediction is currently "a little better than flipping a coin," researchers Jamie Sleigh and Catherine Warnaby write in The Lancet this week. However, a new study published with their editorial suggests that some types of brain imaging could make an accurate diagnosis much more likely. Patients who are in a minimally conscious state (MCS) may respond to stimuli; they may reach for a ball, say their name or look at someone as they enter the room, says Dr. Joseph Fins, an expert in neuroethics and brain injury at Weill Cornell Medical College. Minimally conscious patients have the potential to regain consciousness. Patients who are permanently vegetative do not. Patients in a persistent vegetative state (VS) are unresponsive, even though their brain shows signs of some activity. The patient is essentially in a coma from which he or she is extremely unlikely to recover. Both conditions are different from brain death, where the brain has stopped functioning altogether. Patients who are brain dead cannot recover. Doctors have difficulty distinguishing between minimally conscious and vegetative states because the signs of responsiveness are subtle. "The challenge with MCS is that they only do these behavior intermittently, so it's very easy to miss," said Fins. The Lancet study authors looked at the potential of functional brain imaging to help doctors predict whether patients will regain consciousness. The study was conducted at a hospital in Belgium. Doctors tracked 81 patients who had been diagnosed as being in a minimally conscious state and 41 who'd been diagnosed as being in a vegetative state. Up to 40% of patients are misdiagnosed in these situations, researchers wrote in the accompanying editorial. Four patients who were conscious but unresponsive were used as a control group. 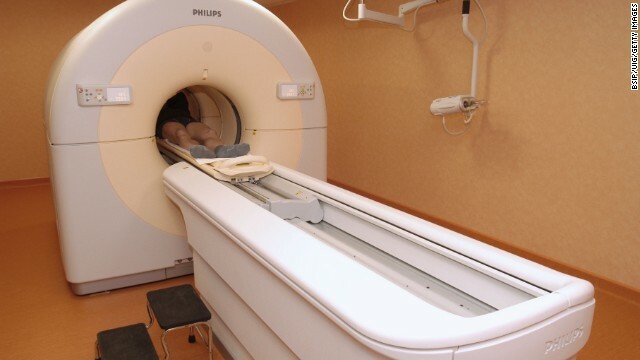 Doctors looked at functional MRI and PET scans for all patients. Researchers concluded that PET imaging was better than MRI at distinguishing how likely a patient was to recover. A PET scan was about 74% accurate in predicting whether a patient would recover during the study's one-year follow-up period, compared to the MRI's 56% accuracy rate. That's consistent with neurobiology research, says Fins. The results did not surprise Fins, who explains that PET scans measure metabolic activity in the brain - the glucose, or energy, that the brain is actually using to function. By comparison, an MRI simply looks at the brain's structure. A third of the patients whom doctors said were unresponsive showed brain activity similar to minimally conscious patients, according to the study. Nine of these patients eventually recovered consciousness. "Just imagine," Fins said. "These patients are conscious ... To be segregated from the community because you've been misdiagnosed is a tragic thing. This is complicated stuff." PET scans may eventually help doctors diagnose patients with serious brain injuries, lead study author Steven Laureys says, but it's not ready for widespread use yet. The study was done in a special unit with trained researchers. Using PET as a tool for diagnosis of brain-injured patients too soon could do more harm than good - leading to more misdiagnoses instead of less. "Functional brain imaging is expensive and technically challenging, but it will almost certainly become cheaper and easier," Sleigh and Warnaby write. "In the future, we will probably look back in amazement at how we were ever able to practice without it." If there's even a 1% chance of recovery in this condition, then you have to err on the side that they'll recover, don't you? Perhaps in a world of infinite resources. So if there is a 1% chance that a person may recover in the next 80 years we should keep them alive in a vegetable state? Imagine the 20 year old that is in a car accident and wakes up 90 years old. Did you really do anything nice for them? .Are you still single ? You are not alone. Free join~~~ ♥ MixëdLuv.Ćom ♥ ~~ Millions of singles have joined it.. This is a Serious interracial dating site for black and white singles seeking relationships, friendships, dating ,love and more. Single black people meeting single white people is why we are here. Hundreds of new interracial singles who same as you join here everyday. You have a big mistake in this article. They used functional MRI (fMRI) here, which is not a structural scan (that is regular MRI). Like PET, fMRI is used to detect activity in the brain, not make images of its structure. It is done by measuring the blood-oxygen-level dependent (BOLD) signal, which is a result of blood flowing into regions of the brain which were active, providing oxygen to these areas. PET works on a similar principle by measuring the glucose intake by activated areas. Can we up-vote Mike's comment to the top of the page! speaking of which, what ever happened to that little girl who was declared brain dead following dental surgery? did her family finally deal with reality and ler her go or do they still have her on continual life support while her body goes through atrophy? do usa&israel use the internet(facebook,youtube,twitter, chat rooms ..ect)to collect informations,can we call that spying?? they ask for ur name,age,gender,occupation,location&sometimes political point of veiw?!?! do they record&analyse everything we do on the internet,,can they harm you using these informations?? do usa&israel use the internet(facebook,youtube,twitter, chat rooms ..ect)to spy?? do usa&israel use the internet 2 collect informations,,can we call that spying?? Whether to "pull the plug" is a complicated decision based not only on likelihood of regaining consciousness, but also on what wishes the person had expressed before the accident. Having a complete picture of the damage and brain activity present will be very useful. For example, if someone shows no evidence of consciousness for 6 months or a year, the family may decide that there is little hope of meaningful recovery and the person wouldn't want to live that way. If there's evidence of consciousness, more aggressive treatment and environmental stimulation (music, talking) would be reasonable. Some people with locked-in syndrome manage to be happy, while others want to die. PET scans may be one tool for determining what the patient wants if eye blink communication doesn't work. Without proper research, your readers will not be interested and you would lose credibility. Keep up the great quality writing, it is rare to see a nice write up like this one these days. Who raised you? They deserve a medal for a job well done. cool job on this article! My best friends trying to discover more on this topic. I am going to follow you on Google. I am going to follow you on Instagram. Oh my gosh! A awesome article. I just stumbled upon your post. I love articles like this one but I find myself spending hours simply browsing and reading. awesome read.